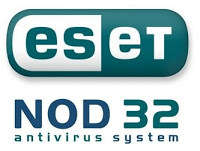 NOD32 is an anti-virus software made by a company called ESET. We have been using and recommending them for years. New viruses are called "In-The-Wild Viruses". ESET NOD32® Antivirus is the only solution in the world that has never missed an In-the-Wild virus since the inception of testing in May 1998. Check out there results and why you should choose ESET. Norton Internet Security is another anti-virus solution made by Symantec. This is another solid AV program that we have been using and recommending for many years. Blocks dangerous websites and phishing scams, and also scans Facebook and other social networks for unsafe downloads and suspicious links. Scam Insight: Reviews a website's reputation and lets you know if it is safe to enter your personal information, so you can be confident it won't be stolen by cybercriminals. Threat-removal Layer: Targets and eliminates hard-to-remove threats less sophisticated products often miss. SONAR technology examines the behavior of applications to decide if they are malicious, helping it to catch new viruses that have not necessarily made it to the virus definitions yet. You can learn more about this by clicking here.